Last week, we told you that global smartphone shipments dropped 2.9% in the first quarter led by a decline in Chinese smartphone shipments. While we knew that the number of shipments in China declined to less than 100 million units for the first time since Q3 of 2013, we now have a better handle on the weakness in that country. According to a fresh report published on Friday, the number of smartphones shipped in China during the first quarter of 2018 tallied less than 90 million units. 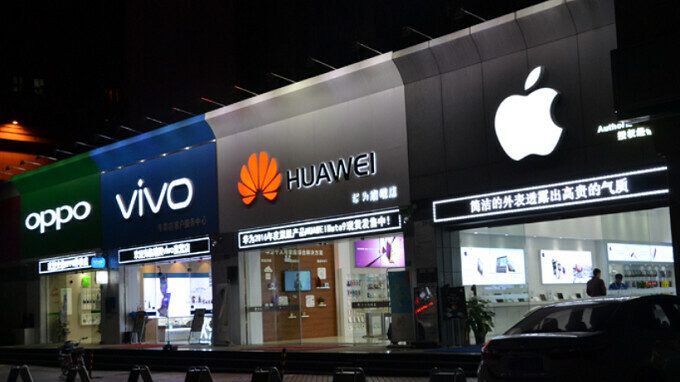 The top five smartphone manufacturers in China from January through March, in order, were Xiaomi, Huawei, Oppo, Vivo and Apple. Xiaomi was bolstered by the launch of the low-cost Redmi 5 Plus, which was priced at 1,000 Chinese Yuan ($157 USD). Falling from number one to number two was Huawei, which suffered a 40% sequential drop in shipments. Both Oppo and Vivo, along with Huawei, had to push older models since all three didn't have any new handsets to sell in the country. Oppo and Vivo both suffered shipment declines of 30% sequentially. Apple's shipments in China were off 25.6% from Q4 2017; with its fans eagerly awaiting the 2018 iPhone models, Apple's shipments in China are expected to decline another 30% sequentially in the second quarter. The good news is that overall Chinese smartphone shipments should rise sequentially in the second quarter, thanks to the introduction of new models by domestic vendors. On a year-over-year basis though, the number of shipments is expected to decline once again. LOL. Alan just must need to mention about Apple. Since when did Apple become as Chinese manufacture? may be huawei will buy apple. Huawei can’t even by LG leave alone Apple and Samsung Lol. I think he loves the word sequential as much as he loves Apple. Title should have been China smartphone shipments not Chinese. That's where it was implied you were talking about Chinese OEMs. Because Apple was the one of the top selling phone companies in China. Keep crying!!!! This really isn't surprising. Phones are getting so good and upgrades are so insignificant that people are keeping what they have longer. What IS news is the death of the smaller OEM's like Gionee. Otherwise known as "others" in these charts. Because not even them can stand the notch. IPhone X is best selling phone in China, no problem with the notch. Slap an apple logo on it and all the design flaws disappear lol. Waiting on that vivo apex without that notch. Woah! Would most agree, that the dislike of the notch will eventually go away, as more phones adopt this design? There's no such a thing, only few stubborn Android boys who haven't used one are against. In real life i don't know anyone who have any opinion about notch. I have yet to meet one person who thinks the notch, especially the poorly implemented version on the X , is a good thing. The only people liking the notch are Apple fans, if the same notch was on any other phone they (you included), would be saying it was a major design flaw and an ugly eyesore. Look again with open eyes and there is only one conclusion, the notch is ugly and reduces the user experience. Better to decline because those companies are under control by dictatorship.